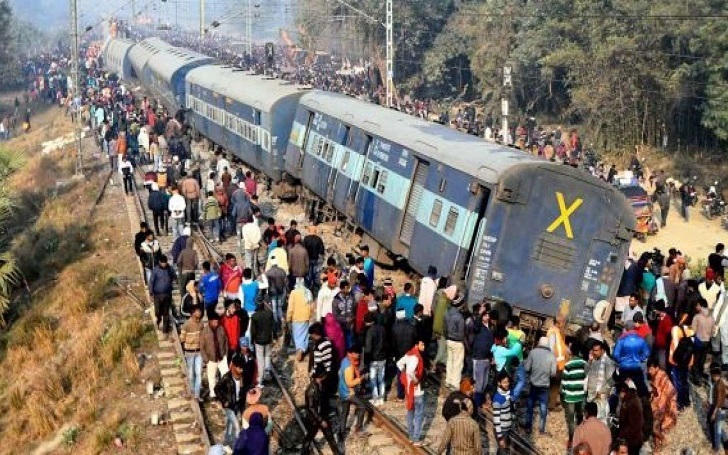 Nine coaches of a New Delhi-bound train derailed on Sunday, February 3, in India, leaving 7 people dead and 29 passengers injured. Most of the passengers were asleep when the train diverted from the tracks. Shortly after the tragic incident, a mass number of local residents rushed to help victims. Authorities were trying to get people out from the overturned train cars and twisted metal. The accident reportedly occurred about 20 miles north of Patna, the state capital of Bihar. According to Indian Railways official Rajesh Dutt Bajpai, the rescue work was over by noon Sunday. The Associated Press reported that two of the injured people were in critical condition. The Press Trust of India news agency reported that a rail fracture might have caused the derailment. India's railway system is the world's third largest but the country's railway system has a lack of modern signaling and communication systems. Most of the accidents in the Asian country allegedly occur because of the outdated equipment, poor maintenance and human error. Back in 2016, 127 people were killed after a 14 coaches train derailed in Uttar Pradesh. It was one of India's worst train accidents.